Being a documentary cameraman for years I've specialised mainly in National History. 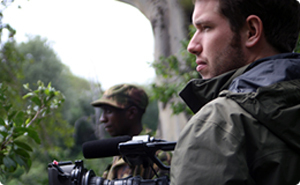 Next to this I have developed good experience as a Camera Assistant and Sound Recordist. From the start of my first days in Film making I’ve gained much experience from pre- to post-production. 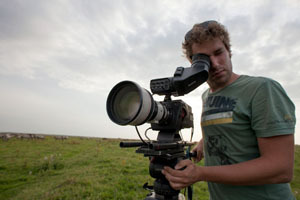 I’m best described as a young cameraman with good knowledge of post production workflows and decent knowledge of the natural world. Work at an equipment rental company and post production facility brought me good knowledge of both. Equipment-wise this has brought me good experience all sorts of cameras like the Red One, Alexa and DSLR. 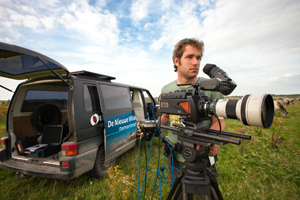 With the experience in such cameras, I have worked a lot as digital Clapper-loader on Dutch feature films an commercials. I'd love to work story driven. I believe thats the only way. I love to work in teams but I’m very capable of working on my own as well. I’m self driven, fast in troubleshooting and always in search of new adventures! 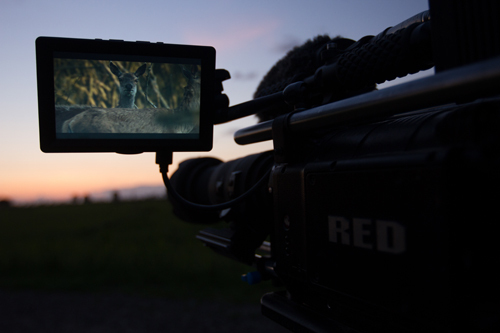 The New Wildernis – Possibly the biggest wildlife production ever shot in the Netherlands. The New Wildernis shows the Dutch National Park Oostvaardersplassen like never before. A natural area of only 6,000 hectares carrying the nickname 'Dutch Serengeti' and unique in Europe See: www.denieuwewildernis.nl/de-film Trailer below.